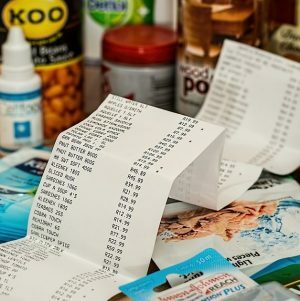 August 11, 2018 0 comments on "How to Slash Your Grocery Bill"
Frustrated with your grocery bill? Even the thought of spending a lot of time tracking grocery prices from store to store gives me a headache. I know a lot of people who keep detailed notes of every grocery item they regularly purchase and routinely note the price fluctuations at the grocery stores they frequent. I used to not pay attention to grocery prices much at all. I have never been one to spend excessively, and have always been pretty good about only getting what’s on my shopping list (a necessity! ), but it took me awhile to realize that I could save some extra money if I started paying a little more attention to grocery price variations. I recognize the fact that some people need to reduce their monthly bills as much as possible, and how necessary it is for some to spend as little as possible on groceries, especially if you have a lot of mouths to feed. Although we have no money leftover at the end of the month, so to speak, I never tried to drastically reduce our grocery bill until quite by accident I discovered that if I spent less on groceries, I would have more money to spend on other things! That’s when I really started to change my ways. You’ll find that my approach to being frugal-minded is not as drastic as some, but I consider myself to be a person who saves money when I can, and have made it a personal challenge to not spend money I don’t have to. If you follow my advice, you will definitely see a reduction in your grocery bill. Like I mentioned previously, I have always made a list before going to the grocery store. Every Saturday or Sunday I sit down and figure out what to serve for dinner every night for the next week. Here’s how I created my weekly menu plan. This list also includes snack ideas and lunch menus for my kids. Every Wednesday I glance through the coupons in the local newspaper and make a mental note of what’s on sale and where. Remember, just because something’s on sale doesn’t mean you need it. Stick only to things you would have bought anyway. If I notice chicken, hamburger, or pork chops are on sale, for example, I might alter my menu to include one of these items. I decide which store to shop at based on my findings in the advertisements. I usually don’t go to more than one store unless one store is having a particularly good deal not found anywhere else. The grocery stores in our area are usually pretty competitive with each other; consequently, their sale prices are fairly predictable. I have never been one to stock up much, due to limited freezer and pantry space, but I recently realized the value of buying a lot of one item on sale. I usually avoid our neighborhood market because it is a small store and often overpriced, but they finally caught on to the idea of having specials to draw people in. One day I noticed they had 5-lb. chubs of lean hamburger on sale for 1.99 a pound! I couldn’t believe it. I initially bought 2 chubs, and then a few days later couldn’t resist going back to get 2 more. I divided them into 1 lb. portions (20 lb. altogether! ), wrapped them in foil, and stuck them in the freezer. I was psyched. That same weekend I found an unbelievable deal on pork chops and chicken breasts at another grocery store. I bought several packages of those also. I spent probably $40 to $50 on meat that week, but it lasted for months! I was hooked…I knew I had to start stocking up more when I could. It didn’t make sense not to. My freezer was packed to overflowing. Just this last week I was lamenting the price per can price of tuna and wishing I had stocked up more than I had. Tonight on my way home from dropping off my daughter at her bible class, I stopped at the neighborhood market to get some pretzels (1 1/2 pounds for $1.29!) and just happened to notice their Starkist tuna was .79 per can with no limit! I couldn’t believe my luck and stocked up again. I also bought another bag of pretzels because my husband and daughter are trying to wean themselves from Doritos, which I’m trying to help with in any way I can! Anyway, you get the idea. You may not see big changes at first, but if you start stocking up here and there, you will see your grocery bill getting lower and lower. You may find you start spending that little bit of extra money somewhere else, but at least you have the choice to decide where you want that money to go. Don’t feel like you have to spend a lot of money on groceries–I’m living proof that you don’t have to!